An exceptionally remote trek takes us complete off the beaten track. 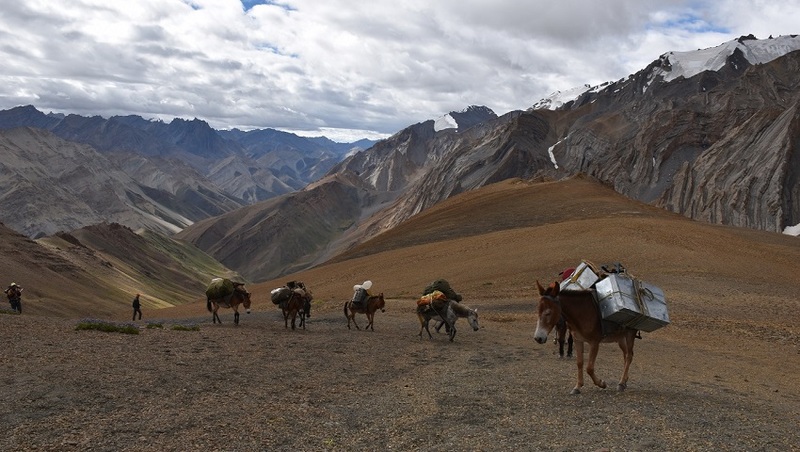 We trek through very remote country in the mystical kingdom of Zanskar. This is our 20+ years of trekking in Zanskar and Ladakh in the Indian Himalaya. After running the great Zanskar traverse Darcha to Lamayuru 22 days for many years. 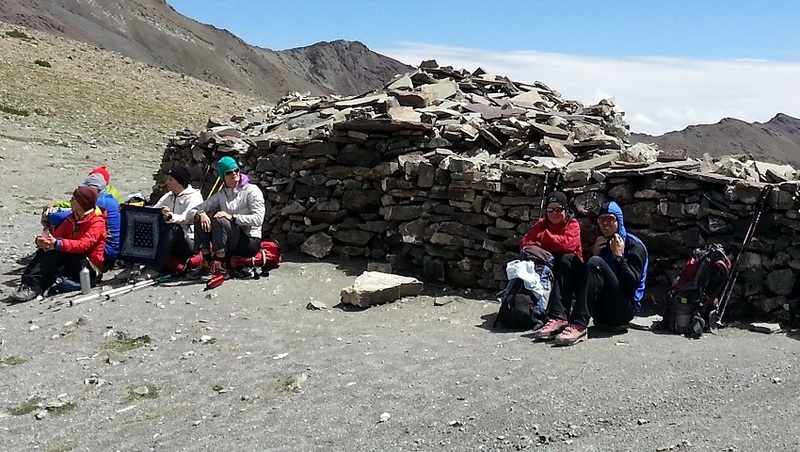 Today a new Zanskar trekking routes are taking place. This Zanskar the hard way Kanji la Ningri la Phirtse la we named after 3 of high passes that are above 5000m is one of best Zanskar trek we have at present to offer you. There are numbers of other passes which ranges between 4500 to 4900m. Instead of taking the Yarshun Marshun route we take the Tsarap and Kargiak valley to Phirtse la. We think that meeting with locals and experiencing Zanskari life is more important to this trek. 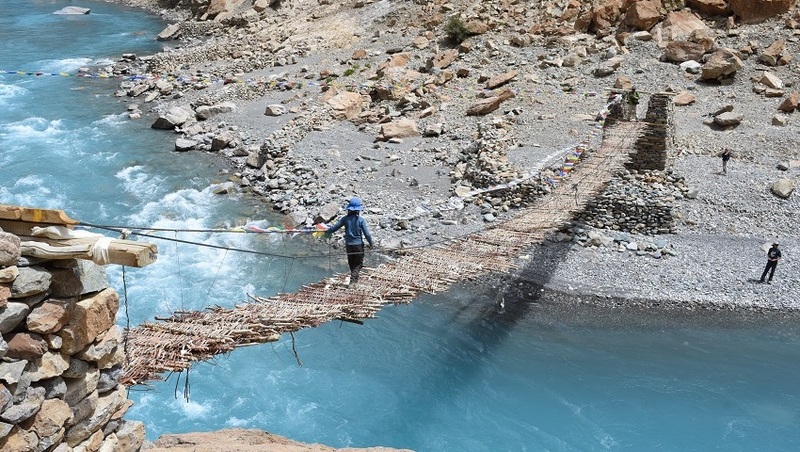 Setting off from the remote village of Kanji, we trek along the river to high pass of Kanji la. If weather is clear you can see K2 and Nanga Parbat to the North West. Crossing the remote village of Dibling We gradually make our way through the Oma chu river, mountains of Zanskar, crossing numerous passes and a series of gorges and pass beautiful villages. Continue to follow along the turquoise river Tsarap Chu, we go gently through exposed in the canyon route to Shade village. Yet one of another remote village in Zanskar. Eventually reaching the Phuktal Gompa, one of the most amazing temple located on the planet. Now we are in the heart of Zanskar, the settlement that you come across on our tour is the vision of the old days in Tibet and the frame ideal for photographers. Camp are pleasant places to cross our highest pass Phirtse La. We will encounter numbers of wild animals during our trek, we pass numbers of doksas summer settlements of locals usually located in high pastureland and taste the Yak cheese. Each day in the program there are more time to explore, relax, enjoy the Himalayas and the whole environment. Our Zanskar The hard way Kanji la Ningri la Phirtse la trek crosses 4 high passes those are above 5000m. 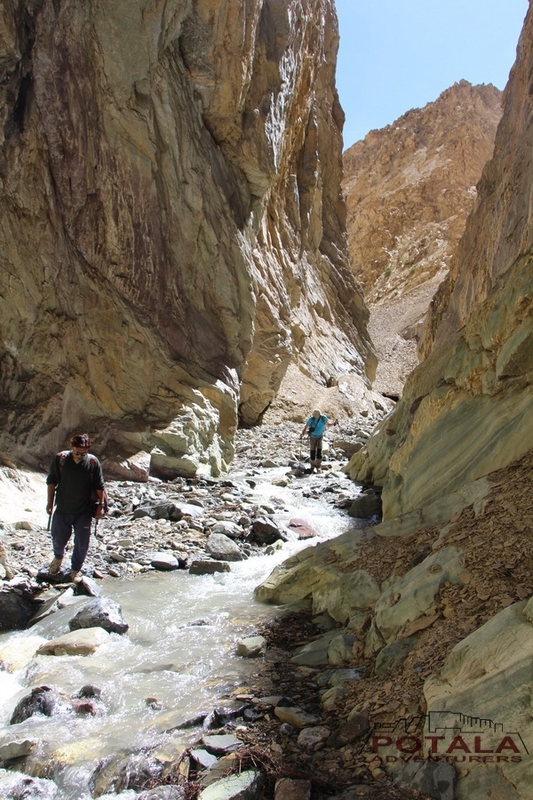 A Challenging, strenuous but wonderful trek in Zanskar Himalaya. Day 1 - Arrival Delhi, flight to Leh. Acclimatize – visit local market, Shanti Stupa, Samkar, Leh palace. Day 6 - Trek to base Kanji-La (4800m), 5-6 hrs. Day 7 - Trek to Kanji-la (5271m) - Junction of Kanji-La & Pikdong-La (4370m) 7 hrs. Day 8 - Trek to base Pikdong la (4579m), 5-6 hrs. Day 9 - Trek to Pikdong La (5029m) - Dibling (4000m), 7 hrs. Day 10 - Trek to Lingshed sumdo (3680m) - Base Barmi la (3890m), 8 hrs. Day 11 - Trek to Barmi la (4694m) -Lingshed (3900m), 6-7 hrs. Day 12 - Trek to Murgum La (4310m) - Kiupa La (4465m) - Yulchung (4000m). 7 hrs. Day 13 - Trek to Nyerak village (3680m). 4-5 hrs. Day 14 - Trek to Labar la (4800m) / Nyerak la -Pharkunsa. 7-8 hrs. Day 15 - Trek Zangla Sumdo (3810m) / Bear valley camp. 7-8 hrs. Day 16 - Trek to Namtse La (4465m) - Honya (3525m) - Zangla (3480m). 5-6 hrs. Day 26 - Trek Takh (4150m) - Gata loops, Drive to Taglang la (5328m) - Leh. Day 28 - Morning flight to Delhi and evening flight back to home. ü 21 nights camp with all camping facilities. 3 men spacious 4 season tents for 2, sleeping bags, foam mattresses, dining tent, trekking poles & safety gears. Day 1: Arrival Delhi, flight to Leh. Acclimatize – visit local market, Shanti Stupa, Samkar, Leh palace. Day 6: Trek to base Kanji-La (4800m), 5-6 hrs. Day 7: Trek to Kanji-la (5271m) - Junction of Kanji-La & Pikdong-La (4370m) 7 hrs. Day 8: Trek to base Pikdong la (4579m), 5-6 hrs. Day 9: Trek to Pikdong La (5029m) - Dibling (4000m), 7 hrs. Day 10: Trek to Lingshed sumdo (3680m) - Base Barmi la (3890m), 8 hrs. Day 11: Trek to Barmi la (4694m) - Lanang (3900m), 6-7 hrs. Day 12: Trek to Hanuma la (4800m) - Zingchen. 7-8 hrs. Day 13: Trek to Perfi la (3900m) - Hanamur - Pidmo. 8-9 hrs. Day 14: Drive to Zangla fort - Karsha - Padum (3500m), Zanskar river camp. Day 29: Fly Leh - Delhi and onward flight back to home. Today after breakfast we drive to Stok which is situated opposite of Leh at a distance of 14 kms, crossing bridge over Indus at Choglamsar. At Stok visit of Royal Palace built during 1825 AD and palace has great collections of antiquity. Continue to visit Matho situated 10 kms from Stok, which has 10th century complex. Continue to Hemis monastery which is 45 km far from Leh and it takes 90 minute drive. The great Mahasiddha Staktsang Raspa along with great ancestor Singey Namgyal builds this biggest monastery in 16th century. After visiting this monastery, drive back to Thiksey monastery, which is 27 km from Hemis. This monastery is the oldest monastery of Gelugpa School in Ladakh. The great Lama Paldan Shesrap built it in 14th century. Here you can see the big statue of the Future Buddha. After visiting this monastery drive back to Leh via visiting Shey Palace. Overnight at hotel in Leh. Today is our first day of trekking along the stream and which passes through narrow gorge to the large open field. We will meet with Yaks, Dzo which signifies arrival of Kanji Doksa. Finally through narrow gorge and crossing of stream several times just before campsite. Day 6 Trek to base Kanji-La (4800m), 5-6 hrs. Leaving camp we take the extreme right hand valley and enter in a large gorge that will take us to the two streams. Today we have to cross the river number of times. Finally The ascent to base camp begins at first steep climb than long walk on gradual slope. Day 7 Trek to Kanji-la (5271m) - Junction of Kanji-La & Pikdong-La (4370m) 7 hrs. Leaving camp today we climb on tricky loose rock moraine on a small glacier to the pass. On a clear sky one can have a clear view of Nanga Parbat to the west and K2 to the North. We follow a small trail to the junction and here we will have first view of Nun and Kun which remains in sight for an hour. The view across are spectacular and better appreance of peak rising in Great Himalayan Range. Some of known and famous peaks are Hagshu, Doda and Brahma. Day 8 Trek to base Pikdong la (4579m), 5-6 hrs. An early start today and long day ahead for us. Leaving camp we cross stream close to camp and climb a never ending pass of Dibling through a narrow gorge at some points. Steep descent after pass to Dibling Doksa, camp for tonight. Day 9 Trek to Pikdong La (5029m) - Dibling (4000m), 7 hrs. Day 10 Trek to Lingshed sumdo (3680m) - Base Barmi la (3890m), 8 hrs. We follow Oma Chu River (Oma - Milk, Chu - water) to Dibling and numbers of time main River and side streams to be cross. At some stretches its tricky to find way. Keeping our pace on the valley floor continue to Lingshed Sumdo. At this point we take narrow gorge coming from the left and long climb to base. Day 11 Trek to Barmi la (4694m) -Lingshed (3900m), 6-7 hrs. Today an easy climb to the pass. The first view of Lingshed apprear to sight. Easy descend to Lingshed village. We camp close to gompa and rest of day explore the village and monastic complex. Overnight camp. 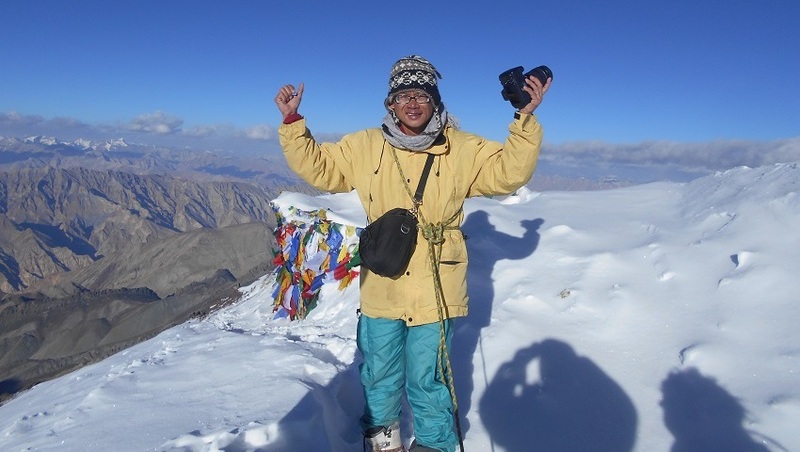 Day 12 Trek to Murgum La (4310m) - Kiupa La (4465m) - Yulchung (4000m). 7 hrs. Short climb after camp and ascend to large chorten to Murgum La - Kiupa la to Yulchung village. Overnight camp. Day 13 Trek to Nyerak village (3680m). 4-5 hrs. Following trail above the fields to the large house situated at the end. Wonderful view of entire Yulchung and back mountains are awesome. Continue to small pass of Chochokhuri La then steep descent to Zanskar River. Nyerak village remain in sight all along the trek. Crossing bridge at Zanskar we climb steep to Nyerak village, one of remote village in Ladakh region. We camp short above village. Day 14 Trek to Labar la (4800m) / Nyerak la - Pangat la (3900m) -Pharkunsa. 7-8 hrs. Continue climb to cross Labar la pass. At first steep climb than on a gradual slopes than through rocky moraine to the pass. View from pass is magnificent towards Sengge la pass and Lingshed mountains. Crossing the pass steep descent to another small pass of Pangat la. Descent to a narrow valley reaching the stream and through a spectacular narrow gorge. Following the stream we arrive at the campsite in the middle of willow tree. Day 15 Trek Zangla Sumdo (3810m) / Bear valley camp. 7-8 hrs. Continue trek along the river and crossing to river at several points. Than along the valley up to wonderful campsite at Sumdo or Khurmafu. Day 16 Trek to Namtse La (4465m) - Honya (3525m) - Zangla (3480m). 5-6 hrs. Gradual climb short after the camp to small Namtse la pass. Then easy descend through a gorge to Honya village across Pidmo village. Than along the Zanskar River for several minutes until reaching a large meadow for tonight camp. We drive first to Zangla fort, situated above Zangla village and after visit Karsha one of largest monastery in Zanskar region. finally rest of day to visit Padum market. Today after the breakfast leaving camp we walk towards the Zangla village and gradual ascent to Zangla fort and continue along the Zangla irrigation ditch we enter in colorful gorges known as Zangla gorge. We have to cross river again so prepare your sandals for river crossing to reach Zangla sumdo. We continue to trek along Zumlung Chu, which we cross many times. We pass the large sumdo where to the left the trail leads to jumlam and Charchar la an ancient and old trade route leading into Zanskar from Leh. The Jumlam route are mostly in active when flow of river at its lowest volume. Arriving at Zangla sumdo where small willow tree grows abunduntly along the river. We find our peaceful camping place between the low bushes. This Zumlung chu crossing is only accessible from end July to mid Sept. Thus mid Aug to mid Sept is best time. Anything before could last in change of itinerary. Leaving camp the trail goes through a batch of sea buckthorn and willow bushes. The next two hours of hiking are easy, Coming out from the willows which hides our campsite, we now ascend gradually to Pandang la which is also called Ningri la at an altitude of 5175m. We ascend steeply on a trail of loose scree and rocks which ends at the foot of pass and long ascent to the pass. From the pass Zanskar mountain panorama is breathe taking and magnificent. Crossing pass its long descent to campsite. Wild animals roams the hillside, so we open our eyes to all around. We arrive at wonderful campsite of Niri Sumdo close to Yarumchan. Leaving camp , today is an adventurous and beautiful river day. Soon after the camp we cross the Niri chu several times as well as the side stream. we cross numbers of times the river, usually a water level below knee . But the rivers get high in the afternoon. We call this valley a Snow leopard valley as we have spotted the foot prints in this valley. You may see wild animals coming to drink water in river bed during day time mostyl blue sheep and ibex. Walking on the river bed we arrive at a sumdo from where to the left trail goes to Shapodak la to Ruphu Kharna. 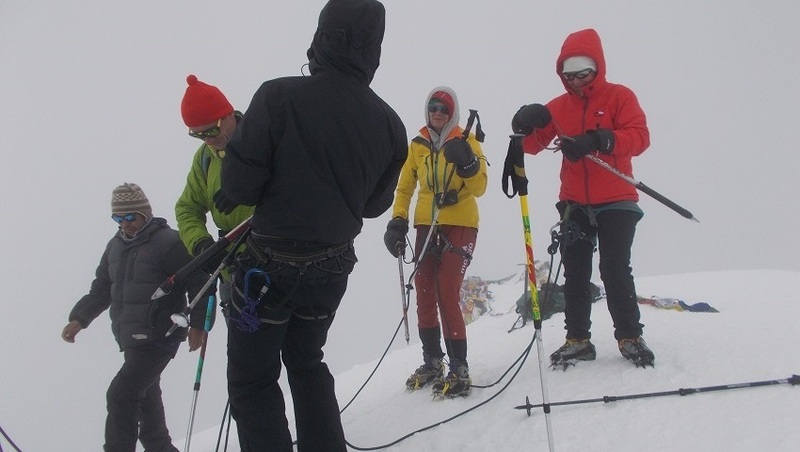 We climb steadily to small pass of Lar la at 4680 meters. Short descent to beautiful campsite near Niri chu campsite. Soon after camp we ascend to a large Shade doksa, you will find here yaks and dzos of Shade village. Steep ascent to Rotong la which is also known as Gorteng la at an height of 4900 meters. We descent to a Shade valley. We pass a series of Chortens / stupas, a sign to any Zanskari or Ladakhi village that we are close to habitation. The color in the landscape is wonderful to watch shades of different colors. Finally reach at campsite of Shade which is short before the village and wonderful and peaceful camp. Soon after tea visit Shade village and one of its house with guide to have some tea and try Chang / barley beer. 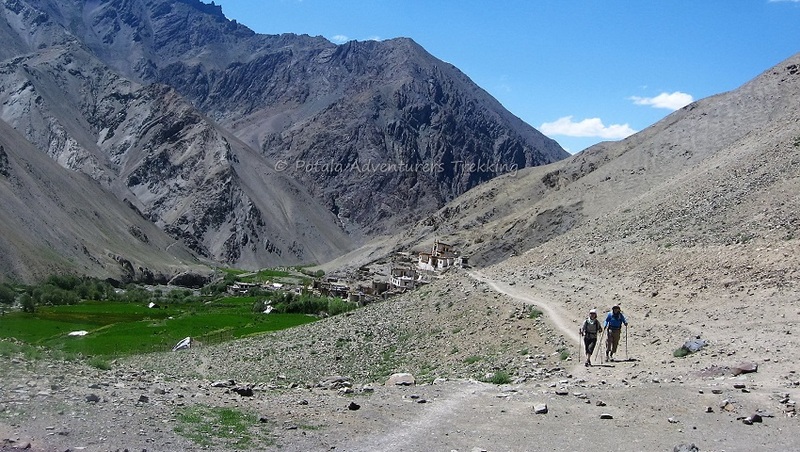 Shade village consist of 14-15 houses mainly Zanskari, who are more connected to Central Zanskar and Padum. Leaving Shade the trail goes through the barley field at first than pass chorten and further a small canyon leading to the junction of Thongde chu. From this intersection to the right the trail goes to Thongde la to Thongde village. We turn left and walk far above along the river leaving deep gorge behind us continue to Tantok gompa which is today is deserted. The other three villages in the regions are Yarshun, Marshun and Satok, all are now empty. Continue along the left bank through willow bushes to Nialo Kontse chu. Crossing a bridge we take the valley leading to left and to the right valley goes to Tsarap River and Phuktal. Gradually ascend towards the base camp of Nialo Kontse la. An early departure from camp today as we have to cross two pass Nialo Kontse la 4830 meters and Gotunda la at 5150 meters. It will take us three to four hours to reach the second pass. Spectacular view from the pass of Zanskar mountain range. The entire area falls under Hemis high altitude national park, thus we will find wild animals roaming in around. Soon after the camp descend steep to the valley. To the left we will see turquoise lake. We crosss small streams short before the campsite set beside Tsarap chu. Leaving camp today along the right bank of Tsarap chu, there is a gompa below the trail but empty nowadays. Along the trail for three hours before we cross the large Zara chu coming out from left valley. We ascend soon after the Tichip crossing to ridge and later to small bridge. Now through the plateau above Tsarap chu we pass Mune le and stupas above Satok village. The entire village is now abandoned. Today the inhabitants of these villages lives near Manali - Leh highway, some of new village are Chumik Gyartse. Finally at the campsite at Satok. Today after breakfast, we descend first than climb out to a willow filled bushes of canyon. Crossing several ridges at above Tsarap Chu we finally ascend to Satok la and pass a several doksa, doksas are summer settlements of Zanskari people. Finally to the camp site of Tsokmetsik beside Tsarap river. Day 26 Trek Takh - Gata loops, Drive to Taglang la (5328m) - Leh. Today is our last day of trekking, we start early along the right bank of river to Takh, it will be not so far to reach the Leh - Manali highway. We end our trek just beneath the Gata loops. Our driver will be waiting for us here, finally a spectacular drive to Leh crossing two of passes, first Lachung la and than Taglang la 5328 meters to Leh. Upon arrival in Leh, check into hotel. Today you explore the local market or purchase souvenir from Leh. This day is also secure for as a reserve day in case of any delay in our trekking tour, a road block or other things might happen. But these things are rare. Day 28 Morning flight to Delhi and evening flight back to home. Morning drive to Leh airport and take a flight back to Delhi. Continue with your flight to hometown.